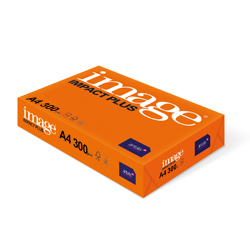 Image Impact Plus is an ultra smooth and premium quality white paper and card offering excellent colour reproduction for graphics and images. It is designed to deliver professional results for volume and budget driven applications on colour laser printers, copiers and digital colour presses. 1 - 9 boxes - £25.95 per box (£5.19 per ream). 10 + boxes - £22.95 per box (£4.59 per ream). 1 - 9 boxes - £29.95 per box (£5.99 per ream). 10 + boxes - £25.95 per box (£5.19 per ream). 1 - 9 boxes - £29.96 per box (£7.49 per pack of 250 sheets). 10 + boxes - £28.36 per box (£7.09 per pack of 250 sheets). 1 - 9 boxes - £31.95 per box (£6.39 per pack of 250 sheets). 10 + boxes - £24.45 per box (£4.89 per pack of 250 sheets). 1 - 9 boxes - £31.95 per box (£6.39 per ream). 10 + boxes - £28.95 per box (£5.79 per ream). 1 - 9 boxes - £35.12 per box (£4.39 per pack of 250 sheets). 10 + boxes - £27.92 per box (£3.49 per pack of 250 sheets). 1 - 9 boxes - £35.94 per box (£5.99 per pack of 125 sheets). 10 + boxes - £27.54 per box (£4.59 per pack of 125 sheets). 1 - 9 boxes - £40.14 per box (£6.69 per pack of 125 sheets). 10 + boxes - £32.54 per box (£5.39 per pack of 125 sheets). 1 - 9 boxes - £40.36 per box (£10.09 per pack of 250 sheets). 10 + boxes - £32.36 per box (£8.09 per pack of 250 sheets). 1 - 4 boxes - £41.96 per box (£10.49 per ream). 5 + boxes - £35.96 per box (£8.89 per ream).